I just finished this box as a present for someone who works at EA Sports. I found the logo online and used it to do an inlay with the top being ash and inlay redheart. The box is made of quarter sawn oak sides and ash on the top bottom, splinters and vertical stripes. The wood is 1/4” and 1/8” that was resawn and then sanded on my new Supermax 16/32. The drum sander is fast becoming one of my favorite tools. A leather bottom was added to the inside of the box. The corners were mitered with a shooting plane and then strengthened with Ash splines. I sanded the splines down with my homemade flat sander mounted on a Shopsmith. The box was finished with a seal coat of white shellac and the multiple coats of wipe on Poly sanding lightly between coats. Nice box. 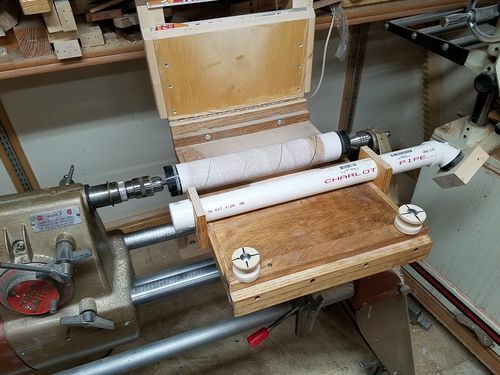 I agree with you about the drum sander. Don’t know how I lived without it. 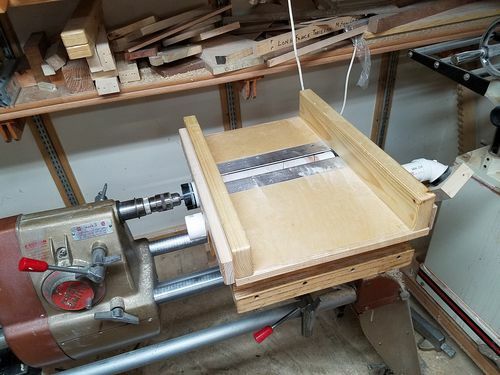 I do NOT have a drum sander; but use my 2 stationary belt sanders for way to many things. That’s a nice looking project.